On Saturday I was in Ballina, Ireland, and a bit nervous: there was a Haedong Kumdo seminar in town, and I was scheduled to test for black belt. 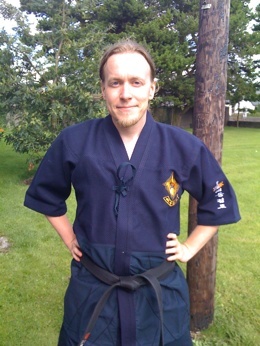 Behind this was years of different sword arts, like viking swordfighting, Iaido, Kendo, sabre fencing, and two years of quite intense Haedong Kumdo practice. 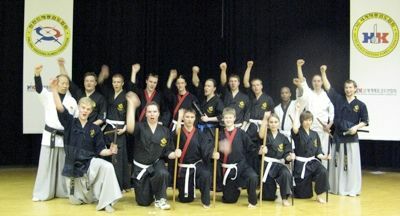 We tested together with two Swedes who already held black belt in the other federation. All three passed. So what is Haedong Kumdo? Haedong Kumdo is a Korean martial art based on the use of the Korean curved single edged sword. 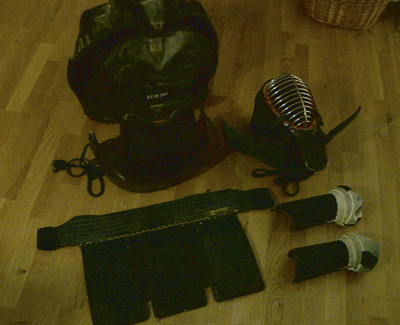 It is a modern system compiled from the ancient traditional sword techniques of Korea. The movements are primarily circular and derive their power from centrifugal force of the body. Training develops strength, coordination, balance, focus, stamina, speed and flexibility. Haedong in old Chinese language means Korea (Hae - sea or sun, Dong - east). Kumdo translates to way of life through the art of sword (kum - sword, do - way of life through martial art). The Way of the Eastern Sword, Haedong Kumdo, is an exciting and dynamic martial art. 26 April 2007. 1 minute read.